Imagine this… Your skipper calls you up on deck as your private yacht floats into a picturesque island cove for the afternoon. You lay back on the deck as the warm sun sets over the sea and the glowing beach below presents the backdrop for the night ahead. You close your eyes and listen to the soft slapping of the waves on the side of your yacht, and you can smell a delicious seafood dinner cooking in the kitchen. It’s the most perfect moment, and one that’s impossible to recreate when staying in a hotel. Gone are the days when sailing was only the hobby of salty sailors and the elite. 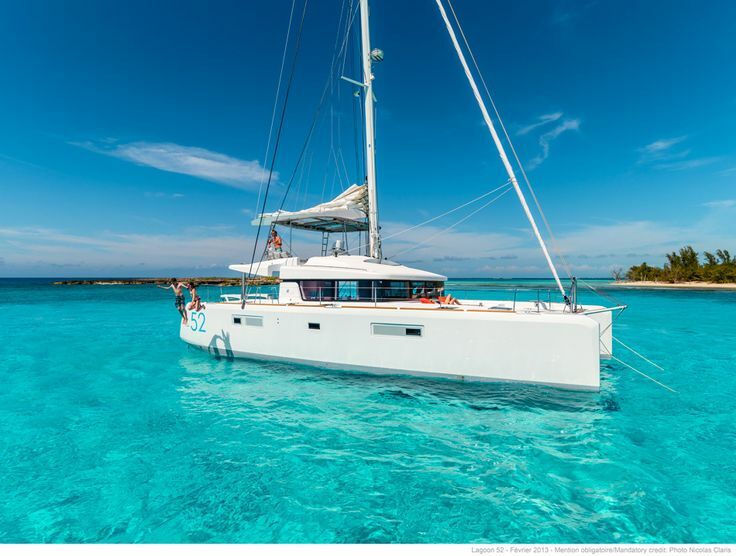 Today, sailing vacations are becoming increasingly popular among travellers of all kinds, and they’re rapidly gaining more demand than your regular old hotel stay. Have you ever sat in a dusty hotel room dreaming of joining the pristine boats that sail by, but just weren’t sure how to make it happen? Well, it’s easier than you think. A holiday by sea combines the charm of the country’s mainland with white sandy beaches, crystal clear waters and the ability to cruise through stunning coastal towns, islands and bays on your own time. 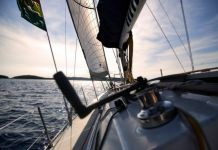 There are a number of reasons why sailing holidays are attracting people from all over the world. Chartering your own yacht or powerboat is the most ideal, authentic and relaxing way to experience any dream destination. 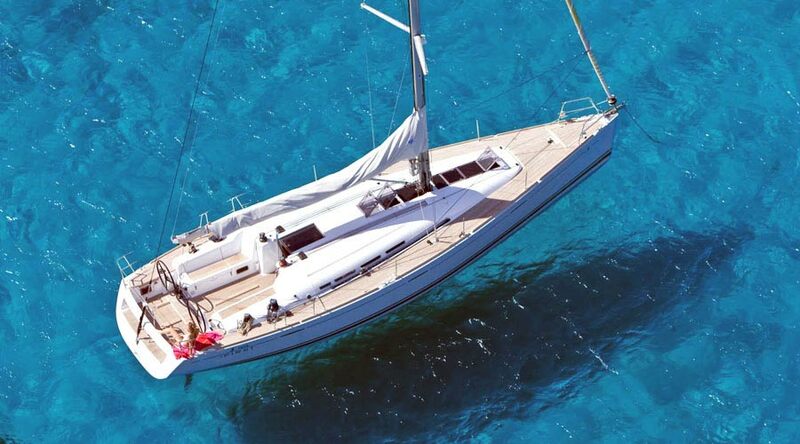 Chartering your own boat gives you the absolute freedom to design your dream holiday. No tour guides, no deadlines, no rushing to catch that train and no late checkout fees. Just you, your skipper and open water – the possibilities are endless. You can sail away anytime you want, visit any place you like and completely design your own itinerary. You still have the capacity to explore destinations on the mainland, but rather than travelling from hotel to hotel, or being shuffled in a tour group from place to place, you can sail to a new harbour, bay or cove each day. Want to stay an extra day? No problem. And no need to worry about extra hotel charges. A sailing holiday is one of the most flexible adventures out there. The only hard part is deciding which magnificent locations to sail to! Which sounds sexier: spending your days cruising from island to island, diving into clear blue water and bathing in the warm sunshine on deck, or lugging your bags through hot and sweaty public transport, hiring rental cars and each day having to pack and repack your already bulging suitcase? Travelling on your own private boat is a completely relaxing experience, and each day you’ll feel glamorous, comfortable and totally carefree. Plus, you don’t need to pack as much; just a few comfortable dresses and a bikini! See our ultimate packing checklist eBook for the full list of what you should bring on a sailing holiday. While the landlocked visitors gaze out to the sea, they’ll spot your beautiful white yacht sailing smoothly through the water and assume you’re some kind of celebrity. But you’re no celebrity; you just booked with Zizoo. Spending your holiday on your own private boat will give you and your group – whether friends, family or both – the ultimate privacy. Hotels are usually crowded with people and rarely do you find a place where you and your loved ones will get to be alone outside your hotel room. But the sea isn’t crowded, and when you sail on your own boat you have the privacy to do anything you want. You can choose to sleep on deck, gazing up at the starry night sky, or head to a secluded cove for a picnic lunch. Plus, when you do feel like enjoying the company of others, you can anchor at a stunning harbour and experience the local restaurants and nightlife before returning to your comfortable home on the water. The idea behind going on vacation is to explore the destinations you’ve dreamt of visiting, right? Travelling by boat allows you to set sail whenever you please, while also opening up the possibility to explore these destinations even further. When staying in a hotel, you’re often forced to spend money on renting a car or paying for a cab and ferry fare when sightseeing, otherwise you’re restricted to the centre of town. 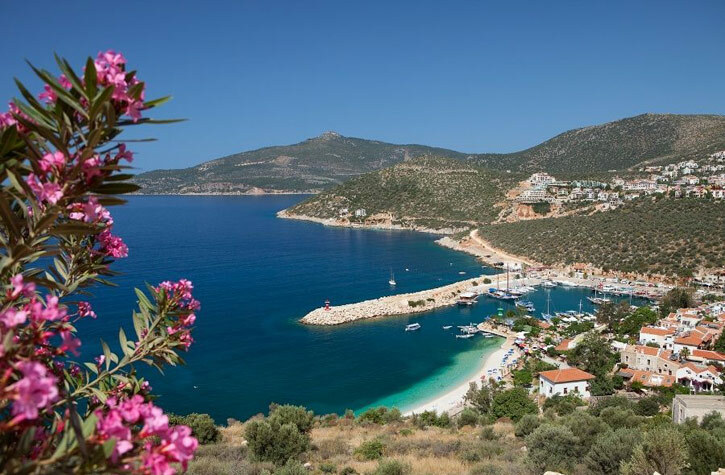 But when sailing along the coast, you can visit these towns plus new beaches, bays or coves everyday, without worrying about expenses or having to trek back to the hotel. Imagine the thrill of exploring the Greek isles by sea! You can spend every afternoon on a new beach and spend every night in a different location. Nothing beats gazing across the ocean and admiring the stunning scenery of your next destination. From the sea, your dream destination will take on its most beautiful and impressive form. And from here, you’ve got a viewpoint all your own. From pine-clad mountains to mile-long stretches of white sand, you’ll have it all at your fingertips. Of course, you can still go ashore to experience the amazing scenery on the mainland, but when you’re travelling by sea every move you make will be beautiful. When staying in a hotel, most don’t consider their environmental impact. For example, how much gas are you using driving and flying from place to place, and how much electricity is being wasted on all those lights and electronics used by your hotel? On a sailboat, only a small amount of gasoline, if any, is used and the electricity is minimal. So, while enjoying your incredible sailing holiday and using the power of wind, you’re also doing your part for the environment. Travelling by sea opens up a world of activities. You’re still able to climb ashore and take part in everything the mainland has to offer, but now you’ve got all those water-based activities at your disposal, without having to pay anything extra. You can spend an idle afternoon reading your favourite book while gazing out at the horizon, or take part in exciting activities like swimming, water-skiing, surfing, snorkelling, diving, paddle boarding and windsurfing. You can sail to hidden ancient ruins and secluded coves untouched by anyone else. You’ve also got a sea full of islands awaiting your arrival, without having to worry about booking a day trip or ferry ride. There will be no time wasted sitting inside a hotel room or waiting in line for a taxi, and there will always be something to enjoy. If you think a sailing vacation is a costly affair and completely out of your reach, think again. Renting a boat is more affordable than ever. We’re on a mission to make boat holidays accessible and affordable, offering boats and yachts along with skippers and other crew members. Hotels are extremely expensive during the high seasons, so if you’re going on a summer vacation with your friends or family, the cost of sailing during the same time will usually be significantly less. Plus, when you consider all the hidden charges and extra costs associated with travelling by land, your total price adds up quickly. But when booking a boat, most of your costs are already taken care of. For example, if you’re planning on sailing in Split, Croatia, hiring a boat will cost you around €1,138 per week. There’s room for seven people on this boat, so when you divide the total by seven the cost drops to just €23 per person per day. If you’re still not convinced, check out the cost of sailing in Marmaris, Turkey. A week on a sailboat in Marmaris will cost you around €2,148. This beautiful boat holds eight people, which means the cost per person will be just €38 per day. Cheaper than you thought, right? 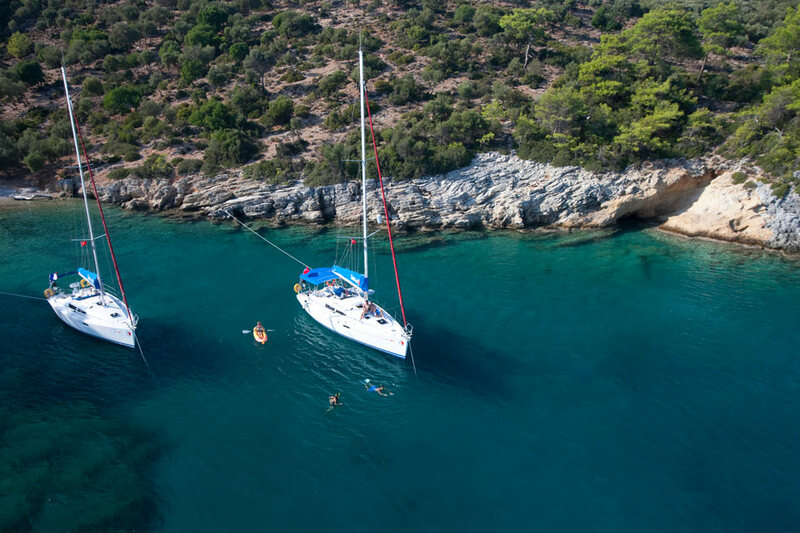 When you check out the boat listings on Zizoo you will see how cost-effective it really is, and you’ll be spoilt for choice when it comes to choosing an affordable sailing destination. 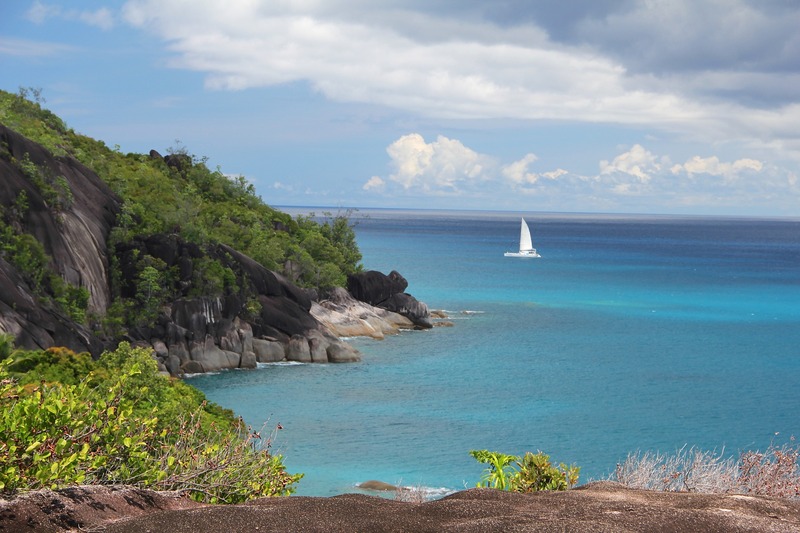 Chartering your own boat gives you the freedom to explore the intimate beaches, small ocean coves and the dense forests and streams that lace many coastlines, all on your own time. No dusty hotel rooms or bad hotel breakfasts; just you, the sea, sun and endless possibilities. Don’t have your boat license? No problem. Our finest, friendly, sea knowledgeable skippers are just waiting to take you out on one of our excellent boats. We want to make sure the process of booking your sailing holiday is as relaxing as the real thing, so we’ve put together everything you need to make it happen. Simply click through and start planning your dream sailing holiday now.